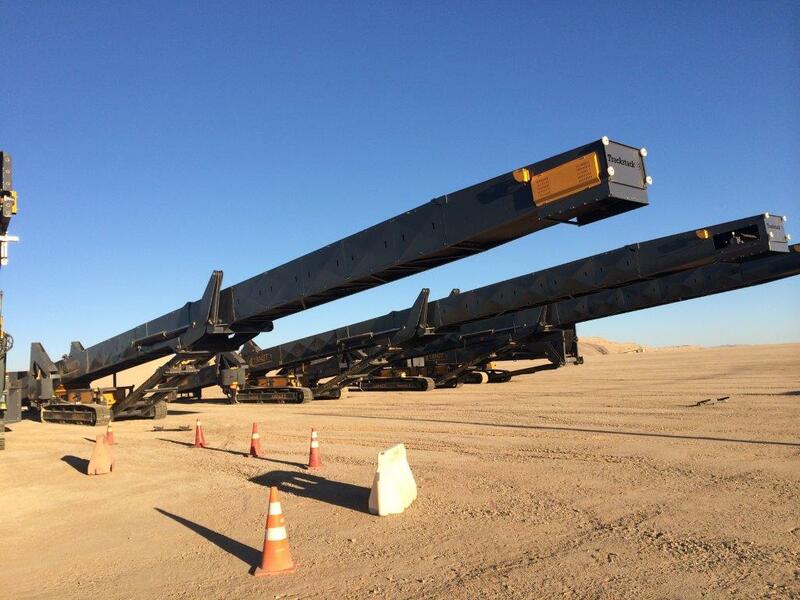 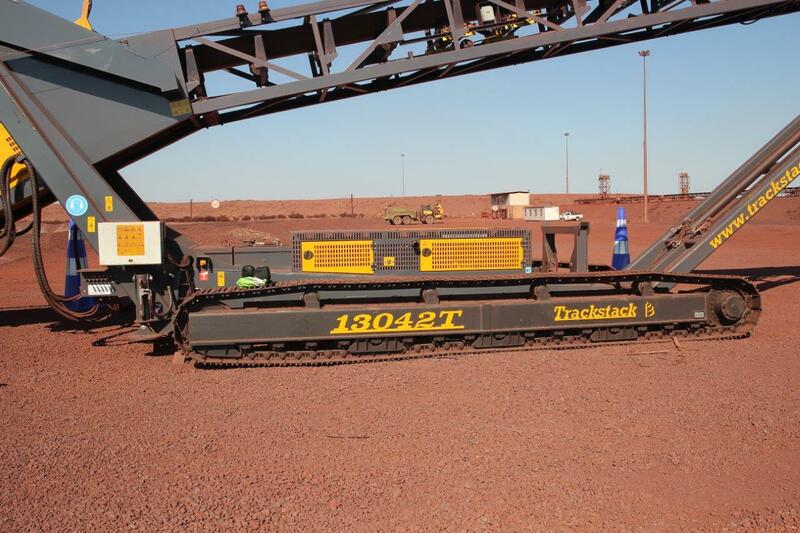 The Trackstack 13042T is the largest ‘mid-mount’ tracked stockpiler on the market and is truly in a field of its own. 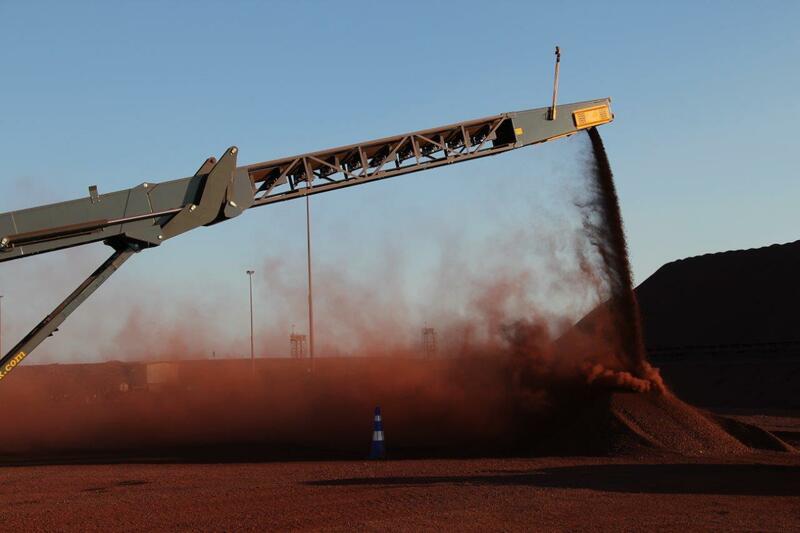 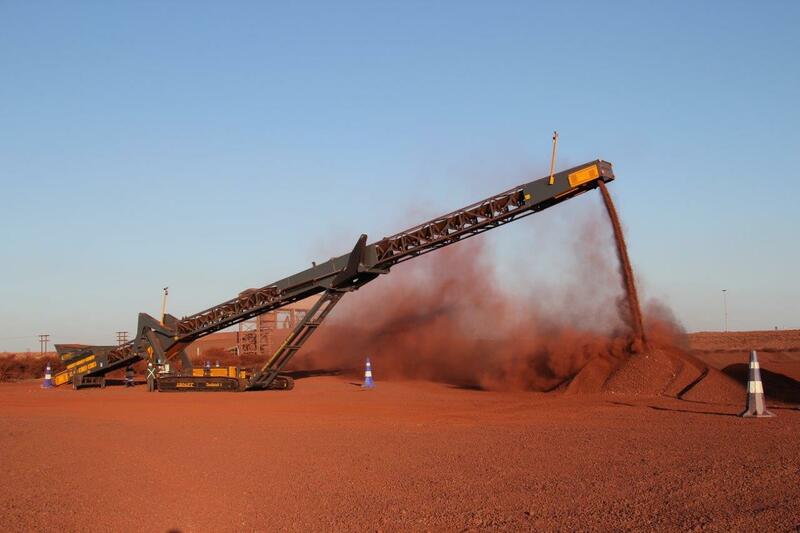 This super sized monster can create stockpiles in excess of 15 metres (50’) in height. 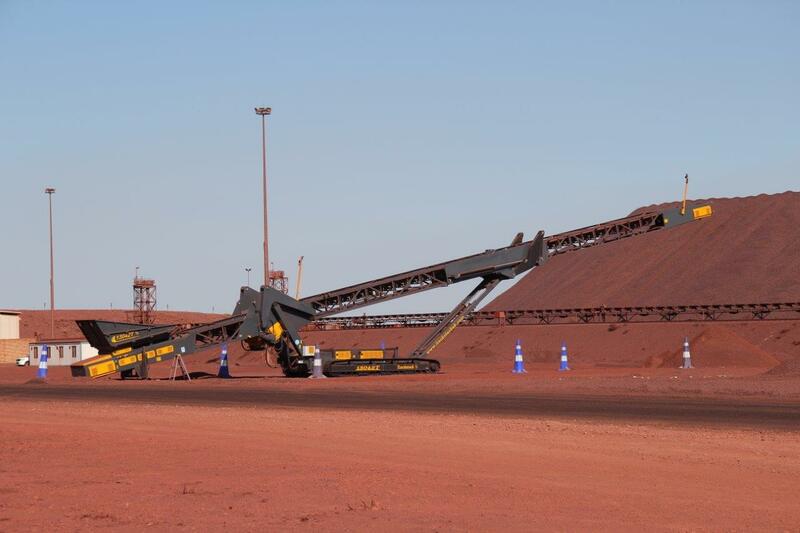 Two huge industrial gearboxes give more than enough torque to the 40 metre (131’) long conveyor. 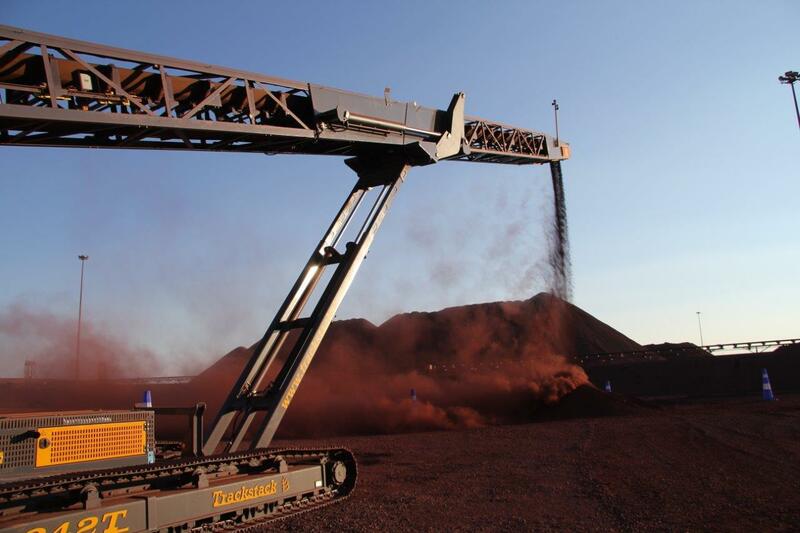 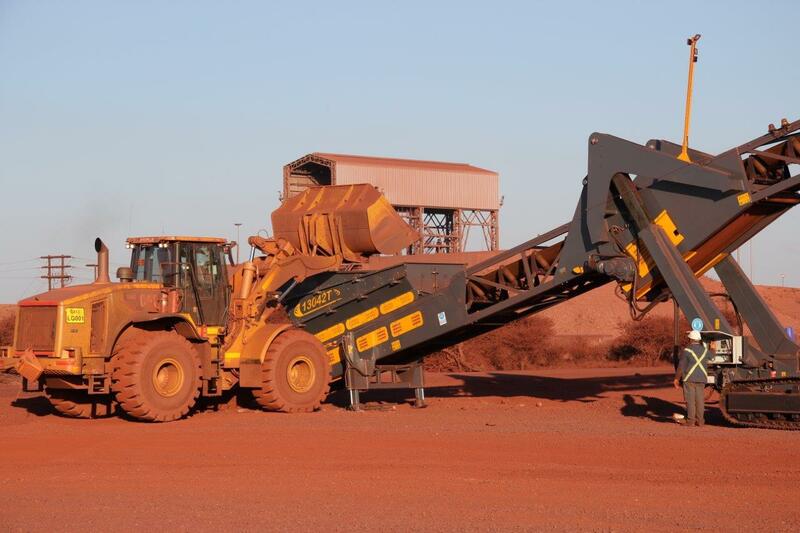 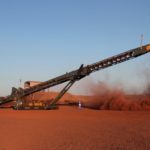 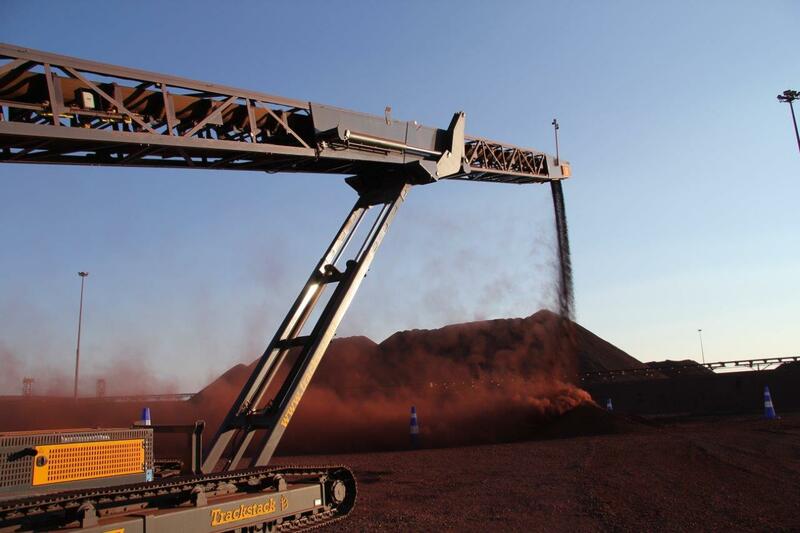 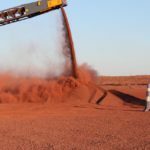 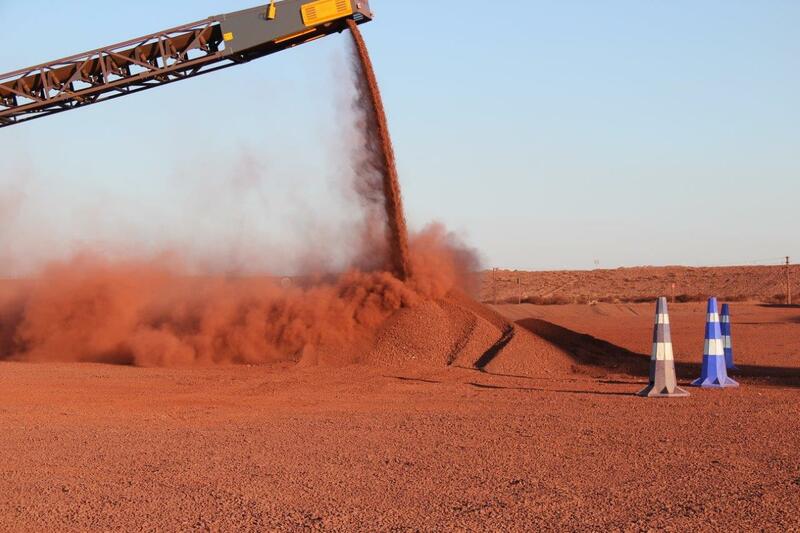 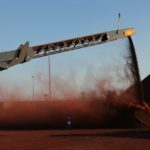 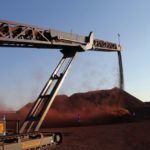 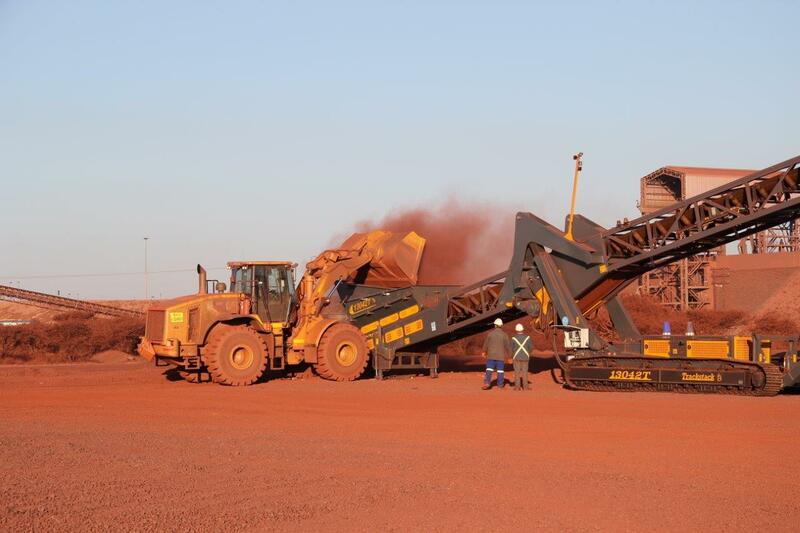 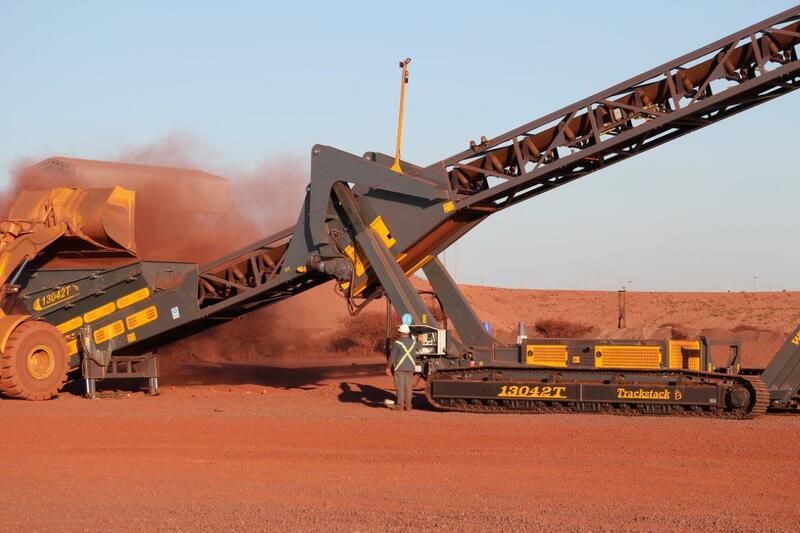 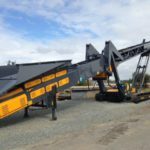 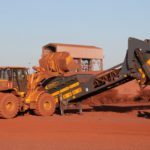 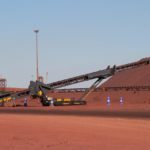 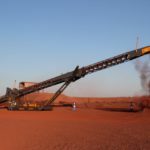 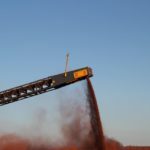 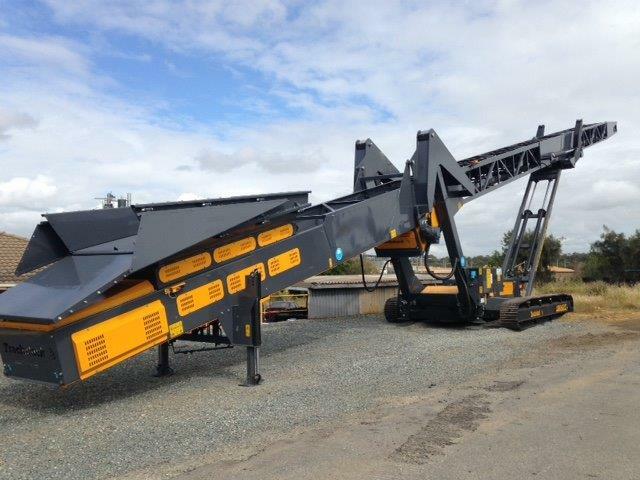 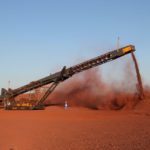 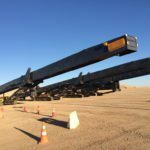 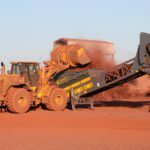 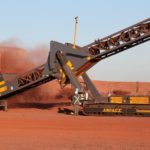 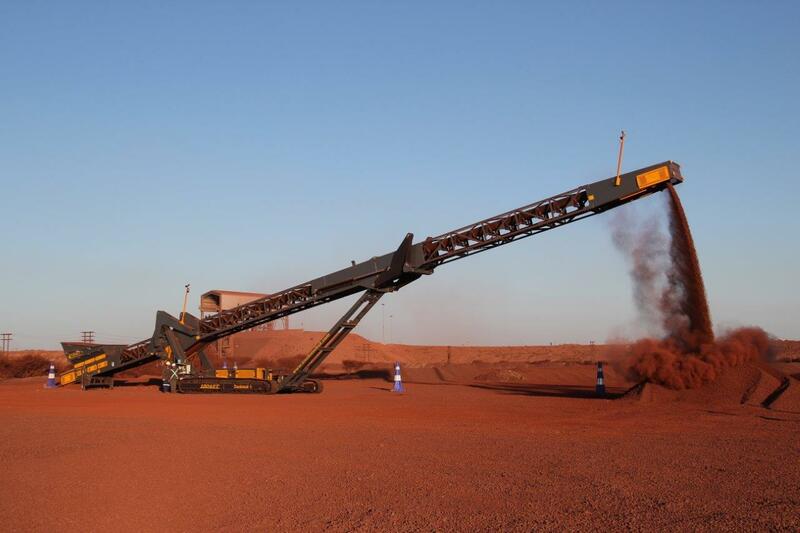 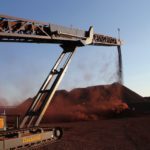 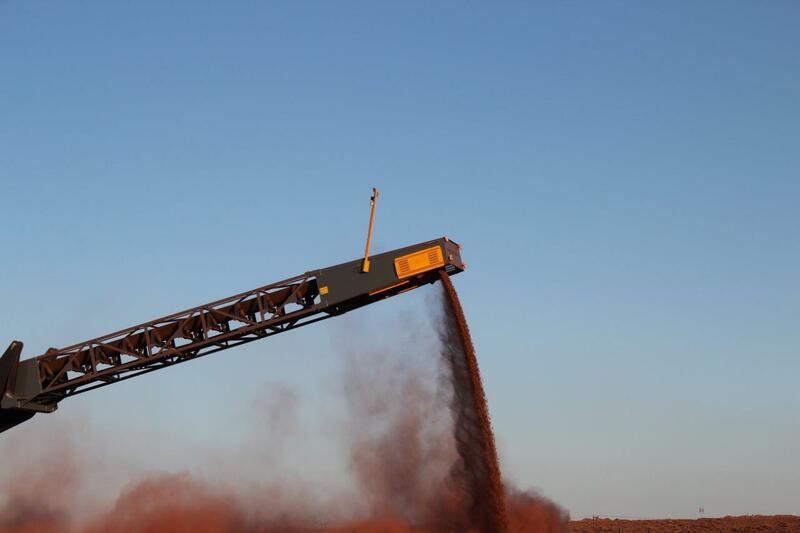 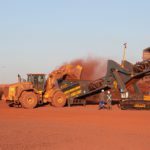 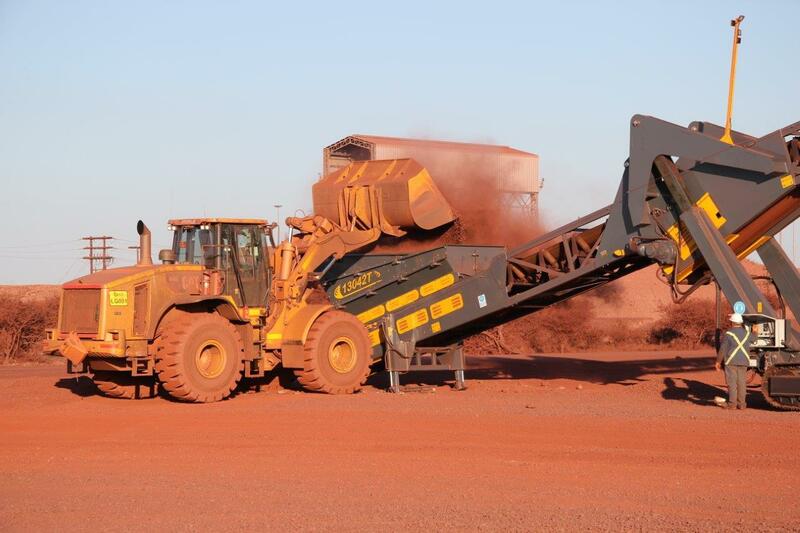 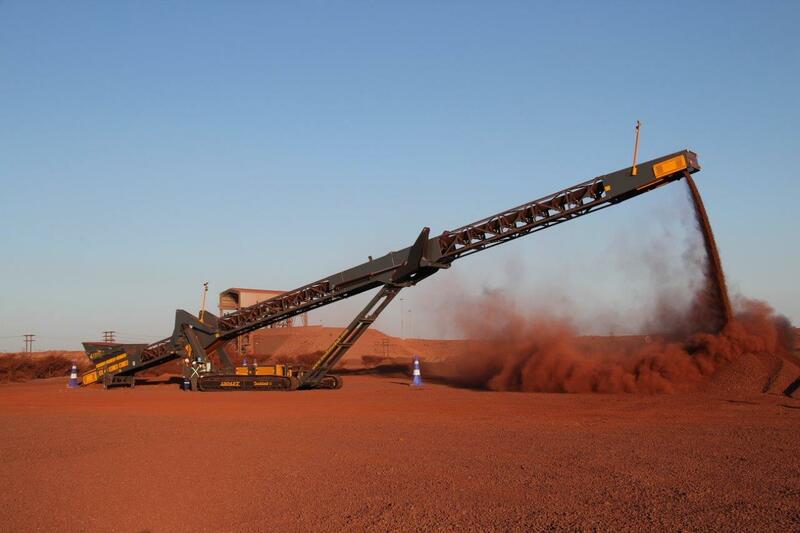 This allows direct feeding from a loader or large excavator and ensures a consistent production rate of up to 850+ Tonnes per hour. 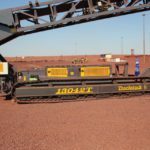 The 13042T has been specifically designed to lower operating costs in a wide range of applications and is especially suited to the high tonnage requirements of high density applications. 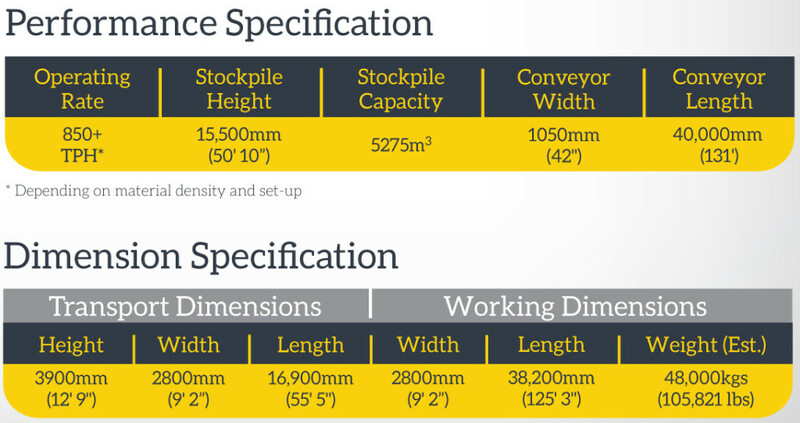 15 metre (50’) Stockpile Height.